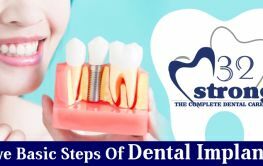 Best Dental Treatment in India. Over 15 Years of Experience in Treating Dental Problems. We are proud to rated among the best lingual Orthodontist in Delhi. 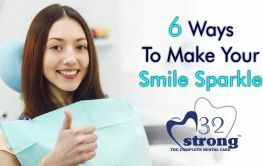 Welcome to- ‘32Strong Dental’ – The Complete Dental Care Clinic. 32Strong Dental Clinic is an advance dental clinic conveniently located in South Delhi. We offer a comprehensive dental care to help you maintain a good oral health. We are rated among leading the best dental clinics in Delhi helping patients from suffering Dental problems of any kind. Our team of expert Orthodontist are highly trained and experienced with the latest dental treatment techniques. We have a state of art dental clinic equipped with the most advanced machines to offer you a painless and comfortable dental treatments. Experience a new dimension in dental care with 32Strong Dental- The best dental clinic in India. 32Strong Dental has been providing the best dental treatment in Delhi, Ghaziabad, Faridabad and other NCR regions for many years. We also have a good no. of global patients from countries including UAE, UK, France and UK. We are rated among the top dental clinic in Delhi. The team at 32Strong is committed to providing the best dental treatment to our patients. Our in-house experts have long experience in treating patients with painless and safe techniques. Our services include Root Canal Treatment (RCT treatment), Dental Surgery, Crown & Bridge, Cosmetic Shaping of Teeth, Treatment of Dental-Cysts and Bad-Breath, treatment of Swollen Gums and treatment of Jaw-Fracture and dental implant and more. Any dental problem can lead to unrest and a lot of pain. Only a best dentist in Delhi can help you in recovering from such problem by keeping your oral health in best condition. 32Strong dental clinic offers you a fast, affordable and reliable dental services to stay away from any dental problem. At 32Strong Dental Clinic, we try to provide a pain free dentistry. We offer patients with a relaxed environment mixed with luxurious setting and hospitality. Our dental clinic offers the latest and painless dental treatment facility. If you are looking for the best dentist in Delhi, visit us at our South Delhi clinic. We encourage to book an appointment in advance so that we can serve you better. You can schedule an appointment on call –+91 9811302367 or fill up the online form. We have a highly qualified and experienced team of the best dentist in Delhi/NCR. If there is any acute dental problem, we are available on a very short notice. While dental problems can be quite discomfortable and painful, we offer a completely painless dental treatment experience. No matter wherever you are based at in Delhi you can reach our South Delhi clinic convenient by metro or through your own conveyance. At 32Strong Dental clinic, we have the latest equipments to treat our patients in a comfortable and convenient manner. We offer a complete dental care solutions at one place including Root Canal Treatment, Dental Surgery, Crown & Bridge, Cosmetic Shaping of Teeth, Treatment of Dental-Cysts and Bad-Breath, treatment of Swollen Gums and treatment of Jaw-Fracture and dental implant and more. Many of our patients are our friends now, and they recommend our Dental clinic to their friends and come with their children and senior parents to us. We are very proud that you entrust the health of your relatives to us! "Dr Pooja is a thorough professional in her field. We've used her professional services on numerous occasions over the last couple of years - and we've come away more than satisfied every time. Her sheer depth of experience is difficult to match. "I selected 32 Strong because of the information on the website and was not disappointed. Dr. Jain did beautiful restoration work for my front teeth. Dr. Jain is a no-nonsense professional. She explains, asks if there are questions. "Experiencing a painless visit at a Dentist is one thing every outpatient is hopeful of...& 32 Strong dental clinic surely guarantees that. Moreover, its a breakthrough on the "vicious circle" myth about Dentist. Few visits & the suffering would end..!!" "Dr. Pooja Jain is a very accomplished and well trained dentist, and has a friendly way of talking to you that makes you feel at ease. She gives a very detailed and patient explanation to any questions, so that one can make the right choice of treatment."